Intubated patient awaiting surgery in an operating room. 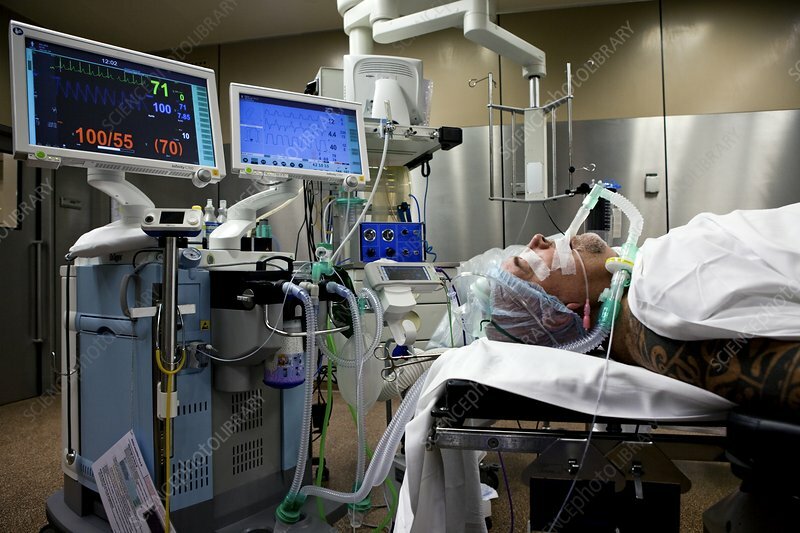 The anaesthetised patient has been intubated and connected to machines monitoring his vital signs, such as heart rate and blood pressure. Intubation involves inserting a tube into a person's airway in order to deliver general anaesthetic and provide mechanical ventilation.